The Myrland Marketing Minute Blog #LetsAskNancy 002 - Lawyers: What Tone Should You Use In Social Media? 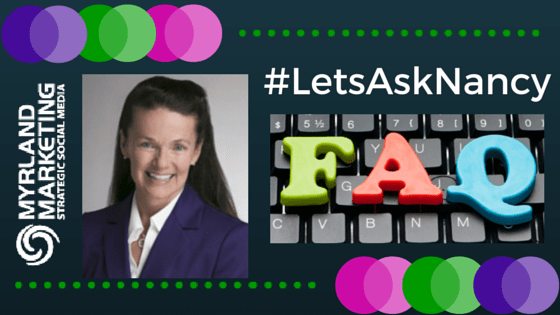 #LetsAskNancy is where I answer questions others have about legal and lawyer marketing and business development, including content, social and digital marketing. You have a choice…either listen to this post in the podcast player below, read it below that, or both! I understand why this is perplexing to many as nobody wants to look bad, or stupid, or awkward, or silly, or you name the word that has you the most concerned. All of these words have fear of failure as their foundation, and who wants to fail? As attorneys, you are particularly programmed to avoid failure as your job is to win or succeed on some level. Looking or sounding bad is definitely not a part of that equation. What you might find interesting is that those outside the profession share this fear of failure, so you’re not alone. Who in heaven’s name wants to look bad? The answer is right in front of you, or rather, inside of you. You already have this answer. You use YOUR tone or personality! You don’t use your competitor’s. You don’t use your practice group chair’s. You don’t use the President’s. You don’t use your favorite talk show host’s. You don’t use your favorite author’s. Using social and digital media, and producing all of this content I keep talking to you about producing is, as I discussed in What Is Content Marketing?, nothing more than spilling intelligence and perspective out in various media. Don’t try to make it something it’s not. Don’t try to sound like someone you aren’t. If you have a fun and casual personality, and that’s how you typically talk to your clients, then do that. If you’re kind of a jerk, and that serves your purpose, then I guess you can be a jerk in digital spaces, too. If you are very serious, and never crack a joke, or show any emotion, then do that. Whatever you are, that’s how I want you to be when you publish or produce you. It helps others form a consistent impression of you, and what you might be like to be connected to, to talk to, to learn from, and possibly to even do business with. If they see or hear you one way in-person, but a completely different way online, you have helped confuse them, and that’s not good. If you do, you will suffer from a massive case of inertia that is enabled by your fear of saying or doing the wrong thing. Then you suddenly watch others around you making progress, publishing content, saying what you know you could have easily said, and you realize you have then made no progress in getting you and your message out to the world. Stop worrying, and just be yourself. Don’t look back one year from now, and be upset that you didn’t take any steps toward producing any content that could help you position yourself as a leader in your area of expertise. Don’t let others take that position when you could be earning it for yourself. There are people out there looking for the answers you have to give. If there weren’t, why would you be doing what you’re doing? Go…do it, okay? 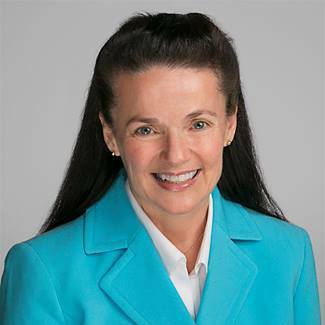 Nancy Myrland is a Marketing, Content, Digital & Social Media Strategist, Speaker & Advisor, helping lawyers, law firms and legal marketers grow by strategically integrating all marketing disciplines. She helps lawyers understand how to make their marketing and business development efforts more relevant to their current and potential clients, and helps lead firms through their online strategy when dealing with high-stakes, visible cases. If you have a question you’d like to be considered for #LetsAskNancy, feel free to leave it in the comments below, on Twitter using the hashtag #LetsAskNancy, or via email….thanks!